We're huge fans of instagram. As graphic designers, we love the idea of Instagram being your own visual journal - a map of all the fun and interesting things you get to experience everyday. Better than that, it's a chance to connect with real people across the world and see life through their eyes. We come across Instagram accounts that we love all the time. There are some accounts that capture the ordinary in an extraordinary way, some accounts that make us laugh and others that simply capture the beauty of the world around us. So with all that in mind, we've decided to include a new feature on the blog - our instagrammer of the month! We love sharing all that we find inspiring with our readers, so this is one more bit of inspiration we get to share with you. Our instagrammer this month is Manuela Kjeilen, a professional baker with 5 cooking books and a love of all that is pastel. While her instagrams aren't traditional one's but rather more 'professional' looking pics, we just simply couldn't pass her up. 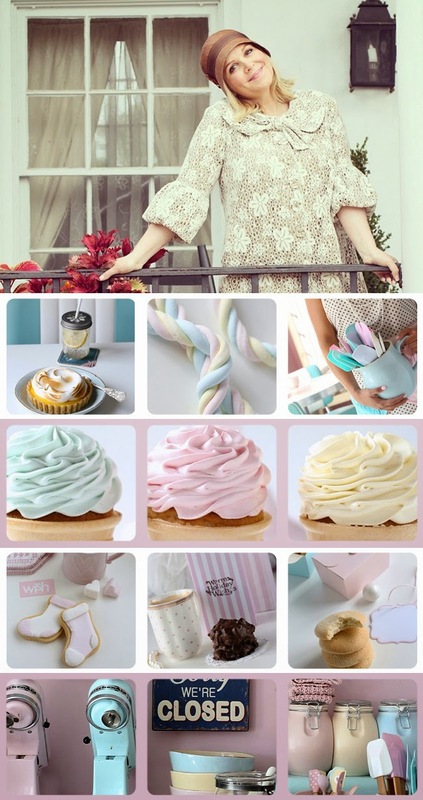 If you're into beautifully baked goods, soft pastels and wonderfully styled photography, then her account is the one to explore!